On the other hand, you want to find something steady enough that it will retain long term value for you as well as your dependents in the future. Perhaps the perfect compromise between these two factors is investing in precious timber. 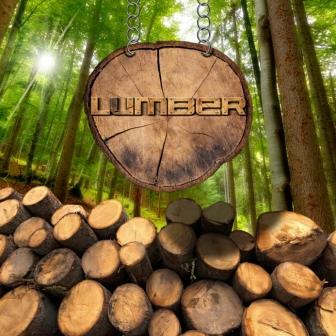 With relatively low risk, long-term stability and a high reward, timber is a necessary natural resource with a lot of potential for investors from around the world. Since 1987, timber has averaged growth of 15 percent annually. While the exact amount of growth can never be predicted, such a long-term average is a good sign that your holdings in precious timber will be able to do more than just stay ahead of inflation. A return of just eight percent is often viewed as a solid and stable investment, so being able to anticipate a return of a whopping 15 percent is a great choice for anyone worried about their portfolio retaining value over the years ahead. One of the things that makes timber an appealing investment is its history of value. Just like other natural resources like water or gold, precious timber has essentially always been around and has always been needed by human society. For thousands of years, timber has been used to build ships that sail the world and homes for everyone from kings to ordinary tradespeople. Investing in precious timber is an acknowledgement of the universal appeal and practicality of wood as well as the many ways that it will be needed in the decades ahead. One of the biggest reasons that timber continues to be an appealing investment is because of its demand around the world. As the population grows in developing countries like China and India, construction of new infrastructure is integral. This is especially true in countries having their own industrial revolution and require timber for bridges, roads, commercial properties and more. As demand rises, the price of timber will likely continue to grow. While there are some potential replacements for timber in construction, most are less convenient and even more expensive, making timber the obvious choice for the foreseeable future around the globe. Perhaps the most interesting thing about timber as an investment is that while it is limited, it is technically a renewable resource. However, timber to be used in construction requires years and even typically decades of growth, which limits how much of it is available on the market in any given year. This self-limiting supply ensures that the market can never be flooded with the product, something that could potentially lower its value. The relationship between timber growth, felling and sale means that you can expect stability and security in the value of your investment. If you are looking for an investment that can beat rising inflation year after year, consider precious timber, a natural resource with a history of value and a steady relationship between supply and demand around the world.